The Laval Rouge et Or are returning to the ArcelorMittal Dofasco Vanier Cup after a three year absence – the longest in program history. 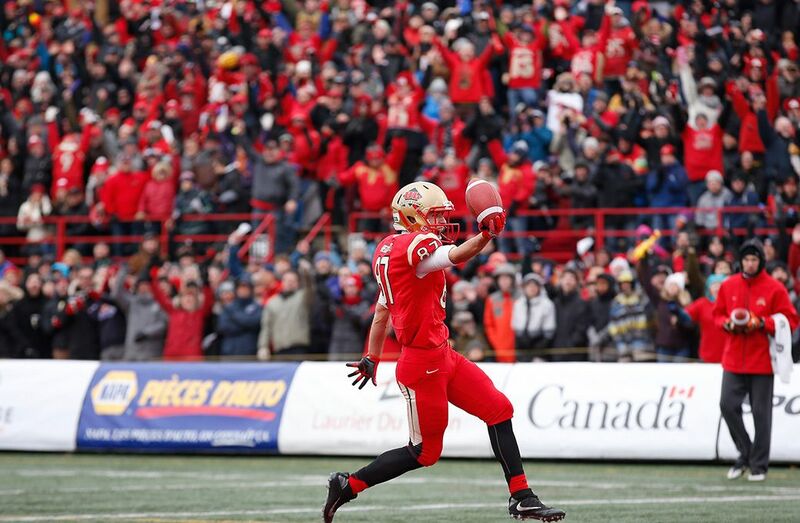 Saturday’s game will mark the team’s 10th appearance in 17 years, a rematch of the 2013 final when Laval beat the University of Calgary Dinos, 25-14 at home in Quebec City. The Rouge et Or have a record of 8-1 in Vanier Cup, with their only loss coming in 2011 to the McMaster Marauders, where they fell 41-38 in double-overtime. For a team that was initially thought to be rebuilding, this Vanier Cup appearance for Laval is a special one, according to head coach, Glen Constantin. Constantin has been with the Rouge et Or since the program began in 1996, first as a defensive coordinator when Laval won their first title in 1999 under then-head coach Jacques Chapdelaine. Constantin took over on the sidelines in 2001, winning seven Vanier Cups since, the most of any U Sports football head coach. “I really do not count the numbers because every game, season and conquest is different and it is different story every year so it is always new to me,” Constantin said about make his tenth appearance in the Vanier Cup. Quarterback Hugo Richard believes being part of the Rouge et Or dynasty has its ups and downs. Receiver and Uteck Bowl MVP, Felix Faubert-Lussier will be playing in his third Vanier Cup on Saturday. He is 2-0 in the big game, winning back-to-back titles 2012 and 2013. The fifth-year veteran returned to the Rouge et Or this year for one final campaign after being drafted by Hamilton Tiger-Cats in the fifth-round of last year’s draft. “It is very special feeling to return to the big show as it was my goal coming back for my fifth-year,” Lussier said. 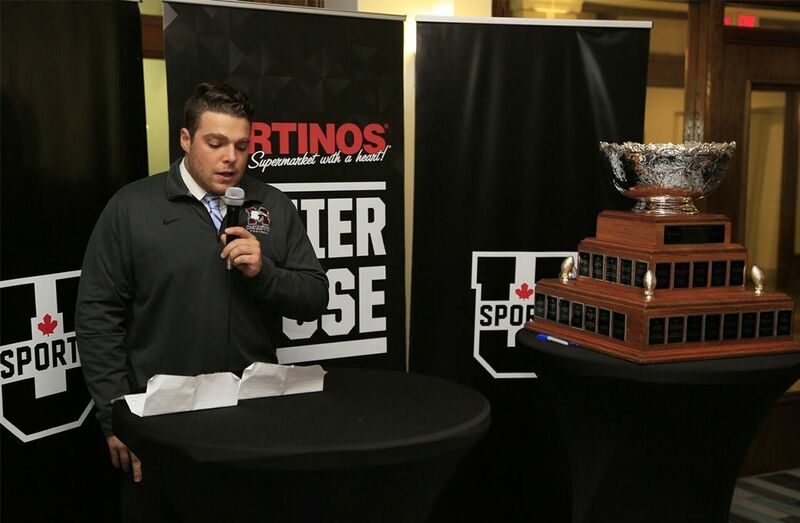 For Faubert-Lussier, the 2012 and 2013 Vanier Cups came in his first two seasons. Now, he will be looked upon as the veteran heading into Saturday. The City of Hamilton has been kind to the Rouge et Or, winning two Vanier Cups at old Ivor Wynne Stadium – first in 2004 when they beat Saskatchewan 7-1, followed four years later by a 44-2 victory over the Western Mustangs. The bench boss feels though that the current team going to Hamilton this week is a unique group compared to the other two.